Protect your hands during yard work and gardening with this value pack of 3-pair Large Hybrid Leather gloves. A durable leather palm and a stretch spandex back for the ultimate in comfort and protection. Knuckle padding provides extra support. The shirred wrist ensures a snug fit around the wrist. 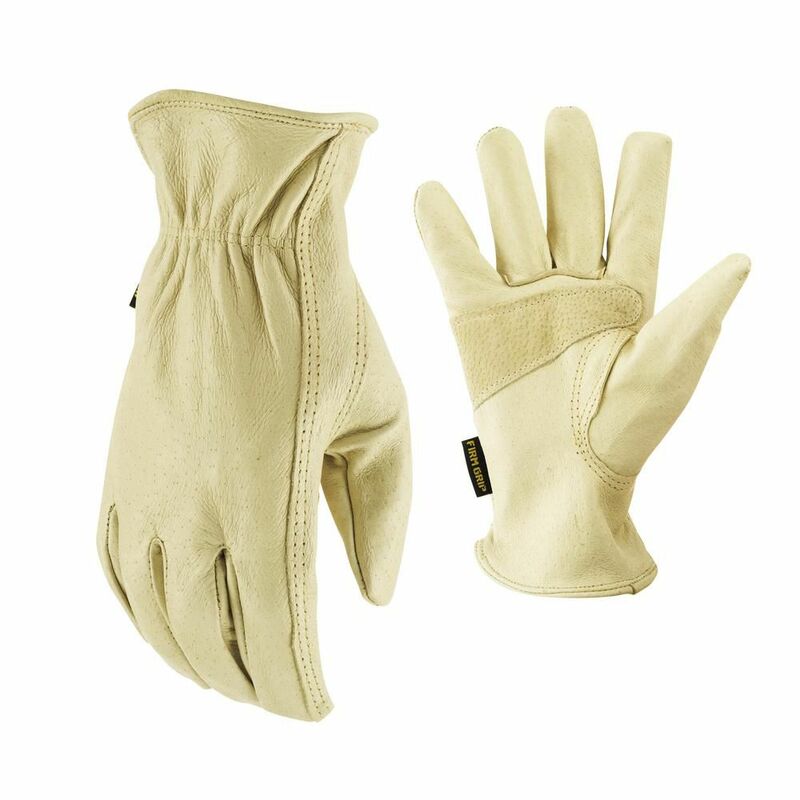 Double leather palms provide extra durability for this comfortable work glove. Rubberized safety cuffs protect wrists from cuts and abrasions. The cotton denim back is tough yet breathable. Touchscreen Technology. Refective 3M Material. Finger Tip Reinforcement. Knuckle Protection. Natural Pull Tab.